Mona Smith's plans to finish her culinary education are on hold and replaced with the need to economize and work hard. A warning from her brother - a local drug kingpin intends to collect money she doesn't have - prompts her to flee Minneapolis with only the possessions she can fit into a backpack. At the airport baggage claim she begs a ride with a stranger, willing to risk time with an outsider over the drug dealer's certain reputation. Yesterday, Linc Dray was rejected by the final prospect on his list. Unless he's legally married within thirteen days, he can't inherit his grandfather's farm. Years of work and dreams, including expanding a tiny apple orchard to commercial size, will be lost. When Mona sprints into his life pleading for protection and transportation, he hesitates. Is she a clever con artist or the solution to his dilemma? Mona sees how Linc's location and occupation offer her advantages . . . if only they didn't come with a marriage proposal. A public marriage, he insists, for legalities and show. She requests two days to consider the deal. 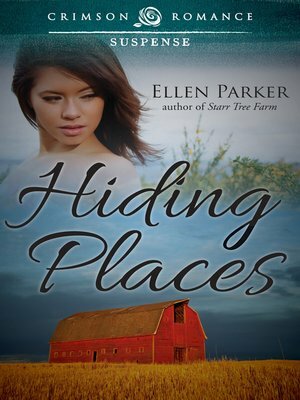 The budding trust between Mona and Linc is tested when a renter on the farm is murdered. The obvious clues point to Linc. Can they prove the real killer framed him? And what are they going to do about the inconvenient emotions invading the marriage of convenience?